Special News! CANAAN”S SECRET has been nominated by TopShelf Magazine for entry into their 2019 TopShelf Indie Book Award. We’re keeping our fingers crossed for success in September. We’ve declared April to be FREE Zack Tolliver, FBI month. Every few days, one of these best-selling novels will be a free eBook on Amazon.com. When the month runs out, so do the freebies. So watch closely! April 27-28: Lost Almost Running Festival. I will participate in numerous ways from running to tour guiding to selling and signing books, including his Los Alamos Valley. Join us in Los Alamos for this special event. 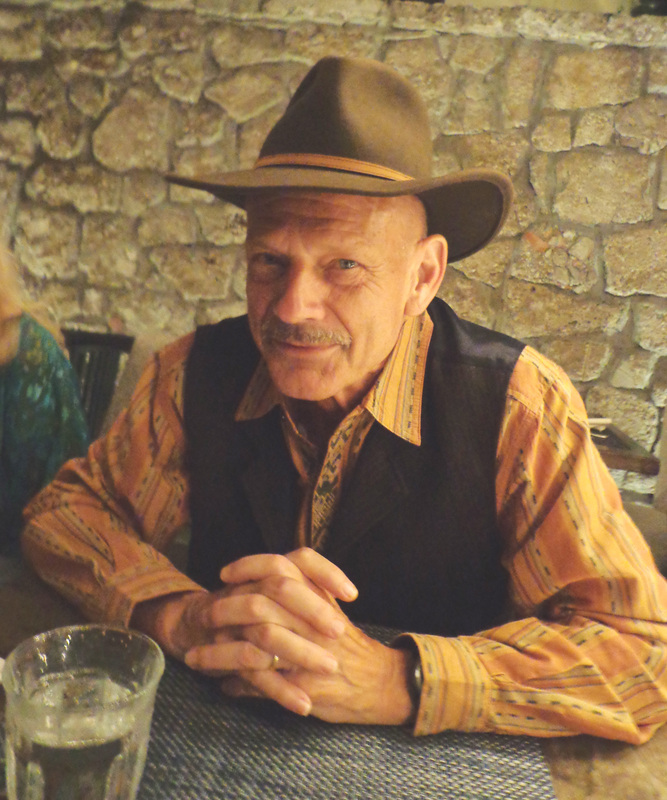 June 19-22: Western Writers of America. I’ll be in Tucson. Will you? If you haven’t visited in a while you will notice a new page and new feature, Trail Running. I enjoy learning about the areas I visit by running the trails I often find there. One can gain an intimate sense of the locality this way. I will update the page with additional photos and brief notes from time to time. I’d love your comments/observations on the photos. Look for a special surprise in the final pages of our new e-book prequel THE DARK ROAD, now for sale at Amazon. It is an excerpt of LAS CRUCES, book #7 in the Zack Tolliver, FBI series, expected April 30. Narrator Thomas Block has completed the audiobook of THE OTHER and you can have it FREE. This is the first book in the Zack Tolliver, FBI series and special to me. I know you will enjoy it. We’ve arranged for you to read it on trial with ACX for 30 days. At the end of that time you are free to decline membership. Click Here! Our own local Art-Deco hostelry, the Skyview, has ordered another 40 Los Alamos Valley books from us. I love the way this establishment is integrating with the town of Los Alamos. You can borrow a bicycle to ride down the hill into town and read all about the historic buildings (don’t do both at the same time). If you are looking for exciting crime mystery with a touch of paranormal, you have come to the right place. See my Zack Tolliver, FBI series page or find it here. NEW: WESTERN JUSTICE, a collection of three novellas featuring novellas by Felix Giordano, Mark Reps, and a new work by R Lawson Gamble (a prequel to the Zack Tolliver, FBI series) is now FREE on Amazon. 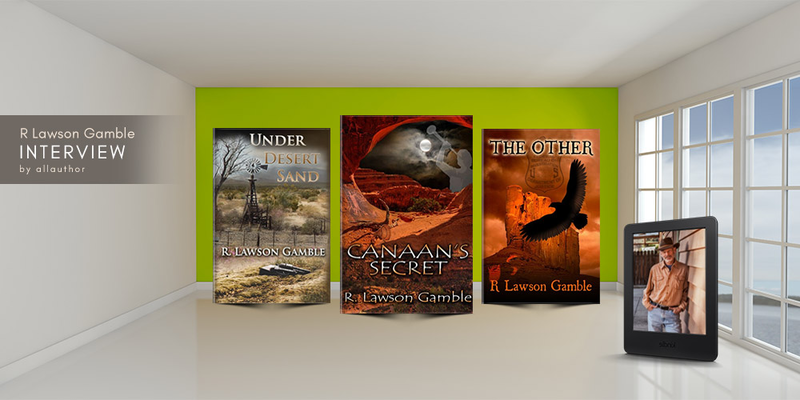 Go to the R Lawson Gamble Amazon page. CANAAN’S SECRET! You will want to read this book! Find it here at Amazon.com. Native American mysticism, Mormon fundamentalism, and murder – a murky soup for Zack and Eagle Feather––an exciting read for you! Now playing! …er, Reading! Producer John McLoughlin narrates CANAAN’S SECRET . As you shall see, he has a most pleasant and expressive voice. I have listened to his work on the first two chapters and am most pleased. MORE NEWS! A familiar voice to Audible Zack Tolliver, FBI mysteries listeners is back! Thomas Block has agreed to produce our first (and favorite) volume, THE OTHER. Purchase it now. Enjoy this review of PAYU’S JOURNEY AT Dogpatch Press. Great post! Thanks for sharing the reminder, and yeah, Penny is the woman! When is the next fibi book ? Really enjoy the series. I can’t seem to find your second book, in paperback. Do you know who might sell it. Most stores can order it; online you can get Mestaclocan at CreateSpace or Amazon.com. Thanks for inquiring. I have enjoyed reading the first three Tolliver novels, and look forward to reading the others. That being said, as a veteran of 30+ years in Santa Barbara County law enforcement it was confusing to me that Barnard changed from Police Chief to a member of the Sheriff’s Department as the story progressed. In addition the ‘State Police’ do not function in a criminal investigation role in California. The DOJ lab could well have been on the scene though. Obviously most readers of fiction would not have noticed this. I myself enjoyed the read and offer my kudos. Where can I buy “Canaan’s Secret” in book form? Thank you for your inquiry. The paperback is not yet available, we expect it late summer. The audio book is in the works as well, due in September. We’ll keep you posted at the site. When is ‘Canaan’s Secret’ going to be published in book form? I did not see a reply to Dave’s question. Anybody there to answer the question? Hi, Chuck. “Canaan’s Secret” will be available in book form September 1 at Amazon.com. Cheers! I have read all of the Zack Tolliver’s series & enjoyed them immensely. A s a retired teacher, I not only enjoy the plots but also how well-written they are. Kudos to you for that! I find myself so irritated by the many spelling, grammatical errors and left out words in some books that I actually quit reading the book. I taught English as well as other subjects, & I just automatically stop & correct the errors. This prevents me from being able to just read & enjoy the book. Thank you again for your well-written books. I’m so looking , forward to your new book, Las Cruces ; I wish it was coming out sooner. I would have preordered it had it been possible. Thank you for your thoughts. I try hard to keep the reader’s journey pleasurable. I am working hard on LAS CRUCES. Soon!